Here is the translation of article on Thua Thien Hue Online Newspaper writing about Hue Flavor Street Food Tour. Coming to Hue, tourists can both explore the poetic beauty of the ancient capital and learn the customs, habits and culture of the local people. 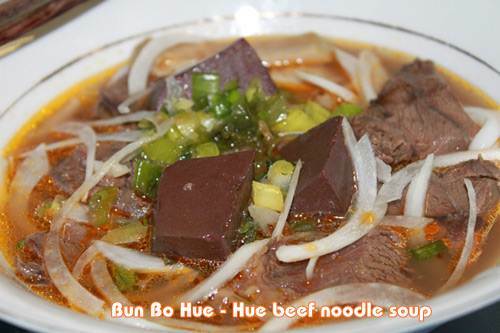 These are reasons why Hue Flavor Street Food Tour attracts many tourists, especially international travelers. It is lucky for me to participate into Hue Flavor Street Food tour with a tourist group from UK. The tour is held by Bach Van Tung Limited Company. After some minutes, going around Hue by cyclo, we stopped at a Hue famous beef noodle restaurant on Ly Thuong Kiet Street. 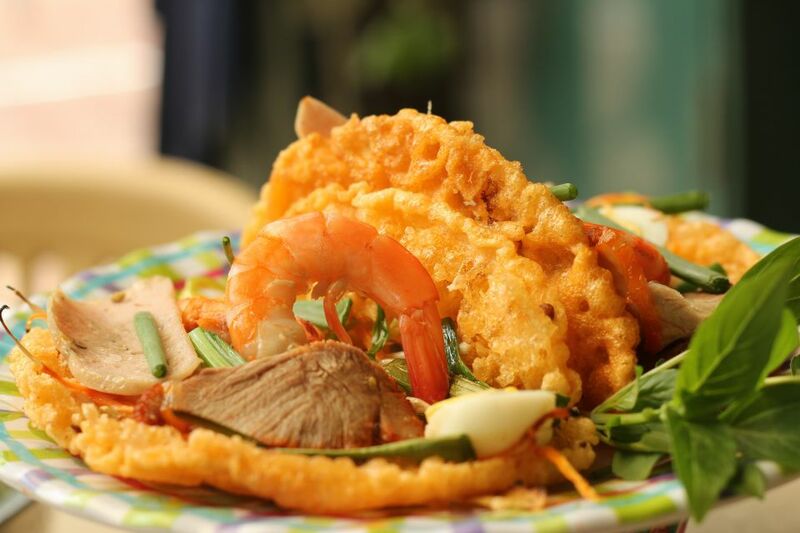 While enjoying the Banh Khoai – Hue pancake, travelers explored the origin of this pancake. This was a royal pancake which existed in the history of Hue and now it has been become to the popular street food. While many tourists come to Hue to visit the heritage sites such as the monuments, tombs or pagodas with the classic itinerary, Hue Flavor Street Food tour creates different experience about Hue. Therefore, many guests choose this tour to explore Hue. Many guests coming from the UK, France, Australia, Singapore, Malaysia, the US, Taiwan, Spain and Hong Kong have been happy to join this tour. Currently, many big travel companies have researched and have booked this product for their customers. 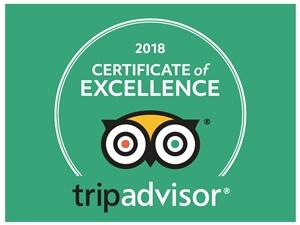 Considering as the founder and the main guide for this street food tour, Mr. Thom with more than 10 –year experience in tourism said that most of visitors coming to Hue would like to study the culture of the local people deeply, they enjoyed Hue cuisine very much. Once time, guiding a group of visitors from Switzerland, after introducing the street food at the local stores, they wanted to taste it and decided to cancel their pre-ordered meals to go to enjoy Hue street food for the next meals. To run this tour, Mr Thom has planned for nearly 2 years. He had to research the food and street restaurants to ensure both criteria as its name Hue Flavor and food safety for visitors. 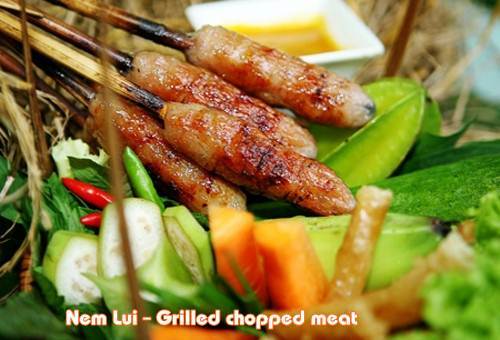 “Compare to other tourist products, Hue Flavor Street Food tour requires a lot of factors. Tour guides must also be a food lover and have knowledge about the cuisine in general and Hue cuisine in particular to be able to share the real experience of Hue through the food.” Mr. Thom said. Please share it! Thank you!